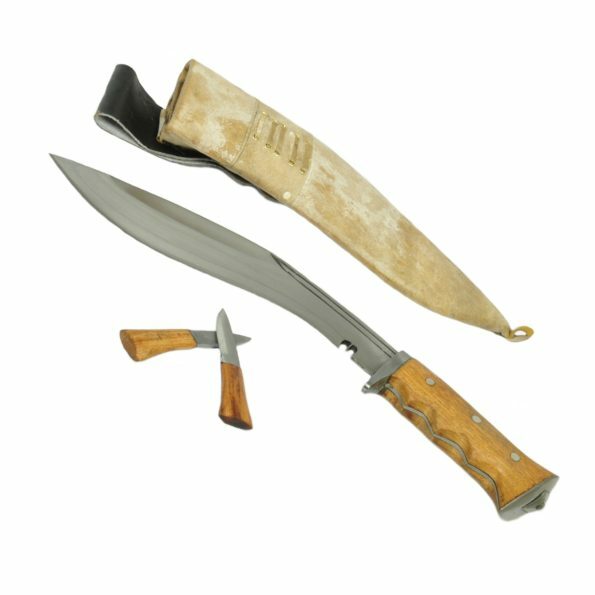 This Khukuri is famous among the Gurkha soldiers who fought in Iraq because it was designed to carry operation in Iraq. This Khukuri is newly designed product to British Gurkha soldiers who are in Iraq. 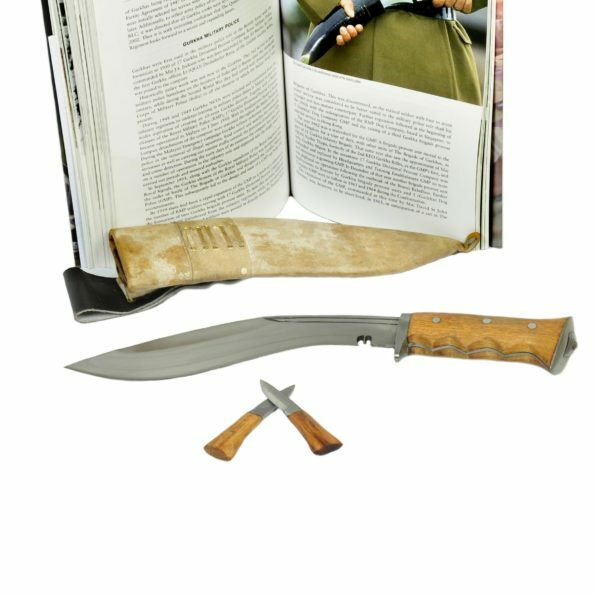 It is not necessary that every Gurkha soldiers who are in Iraq carry this Khukuri blade but this Khukuri is designed for the luxury and ease to carry. The handle of this Khukuri is quite different from the other Khukri’s. This type of handle is quite comfortable for working and the case or sheath of this Khukuri also matches with Iraqi environment. Examined by an officer, this Khukuri is usually used during training and duty. Like all the other Khukuris this Iraqi Operation Freedom Khukuri also has two pockets on the back of the scabbard which is used to hold a small utility knife called “karda” used as sharpener “chakmak” to sharpening the blade or for striking spark from flint. 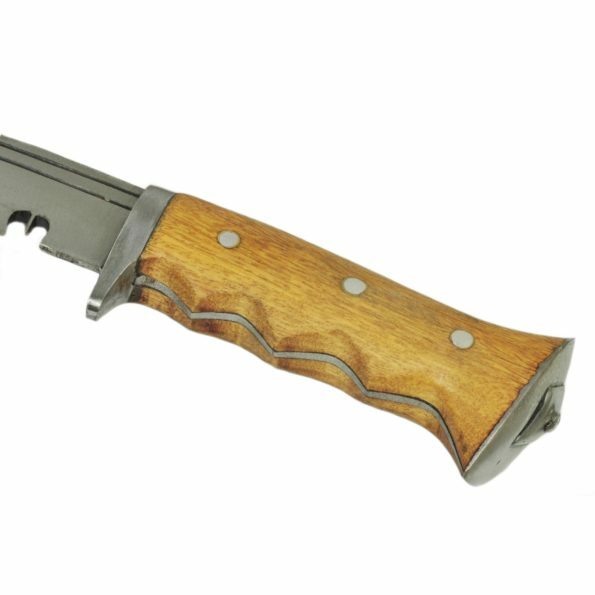 The notch (kaura or kaudi) in the blade near the hilt serves as channel for the blood on the blade to drip out preventing it to reach the handle so it wont effect the grip. Hardness of Steel: spine: 22-25 RC, bell:y 45-46 RC, edge: 58-60 RC. Weight: 830 gms( 29 Oz Approx).